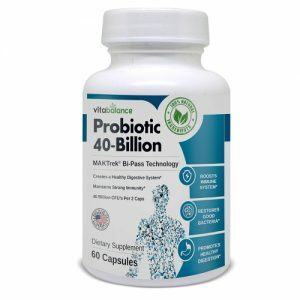 Home Articles Probiotics: What Are They & Do I Need Them? 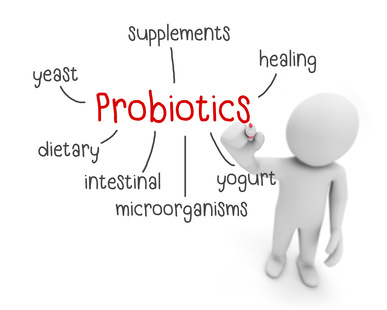 Probiotics: What Are They & Do I Need Them? You’ve probably seen commercials for these digestive aids, but what are probiotics? Who should take probiotics? What do probiotics do? When there is an imbalance in your gut from low levels of good bacteria, it becomes a breeding ground for bad bacteria, yeast, viruses, fungi and parasites. The only way to replace the essential good bacteria in your body is to eliminate foods that feed bad bacteria and start consuming probiotic-rich foods. Some foods, such as yogurt, have probiotics naturally in them. However, many people find it difficult to consume enough of these types of probiotic-rich foods to correct the imbalance and maintain a healthy gut. For this reason, probiotic supplements are now available to help keep your digestive system working optimally. What are the Different Types of Probiotics? Lactobacillus is the most common probiotic. This type of probiotic is found naturally in yogurt and other fermented food, like kombucha. However, many people don’t consume enough of these foods (or simply don’t like the taste) to really improve their digestive health. There are several types of lactobacillus bacteria. Lactobacillus acidophilus can be found in the intestinal tract in the gut. 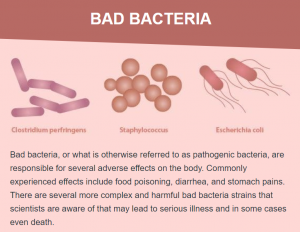 Lactobacillus acidophilus may assist in maintaining healthy intestinal flora. 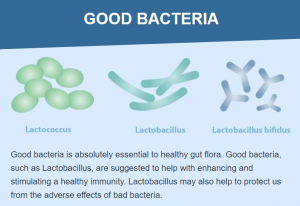 Lactobacillus plantarum is one of the most beneficial bacteria in your body. Lactobacillus plantarum is known for its suggested health benefits as a form of digestive support. It is also suggested to support healthy levels of cholesterol. Lactobacillus Paracasei is known for its suggested benefits in helping reduce the adverse effects of diarrhea in infants. It is also suggested to help reduce pollen related allergies and some have even had some reported benefits relating to the relief of symptoms of chronic fatigue syndrome. Bifidobacterium lactis is known for its suggested benefits in stimulating the body’s immune response. Bifidobacterium lactis is also suggested to enhance cellular immunity in the elderly. Saccharomyces boulardii is a yeast in probiotics that can also help fight diarrhea, plus help with other digestive issues. Plus, right now, they have a buy 3, get 1 free offer going on. So, healthy gut PLUS saving money EQUALS a win, in my book! NOTE: As always, if you have a medical concern, please see your doctor. Before taking any supplement, be sure to get approval from your doctor. As with all supplements, these are not evaluated by the United States Food and Drug Administration and are not intended to diagnose, treat, cure or prevent disease.